Discussions Magazine Music Blog: HYRO DA HERO/Birth School Work Death: Available July 31st, 2012! HYRO DA HERO/Birth School Work Death: Available July 31st, 2012! 2012 album from the L.A.-based rapper. Hyro Da Hero spins his own cycle of hip hop on this debut album. 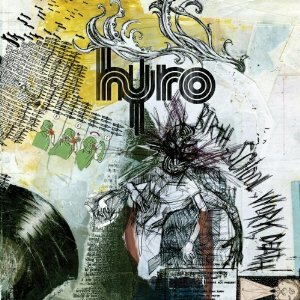 Hyro loads Rock ‘n’ Roll attitude into explosive, engaging and enthralling Rap music. With the crunch of a power chord and the snap of a rhyme, the Houston-bred Los Angeles-based MC spits pure fire. Produced by Ross Robinson (Korn, Slipknot, Glassjaw, At The Drive-In, Machine Head), Birth, School, Work, Death sounds like revolution. Featuring contributions from members of At the Drive-in and Blood Brothers, this is hip hop like you’ve never heard.